The GT Grade is one of the growing legion of adventure road and gravel bikes, which typically have clearance for wide tyres and are equipped with disc brakes, but unlike a cyclocross bike will have slack angles and a longer wheelbase for off-road stability and a wider gear range to allow you to make faster progress on the tarmac. GT has its roots in the Californian mountain bike scene and has put much of this experience into the Grade. The Grade is available in an aluminium framed version and this carbon model. 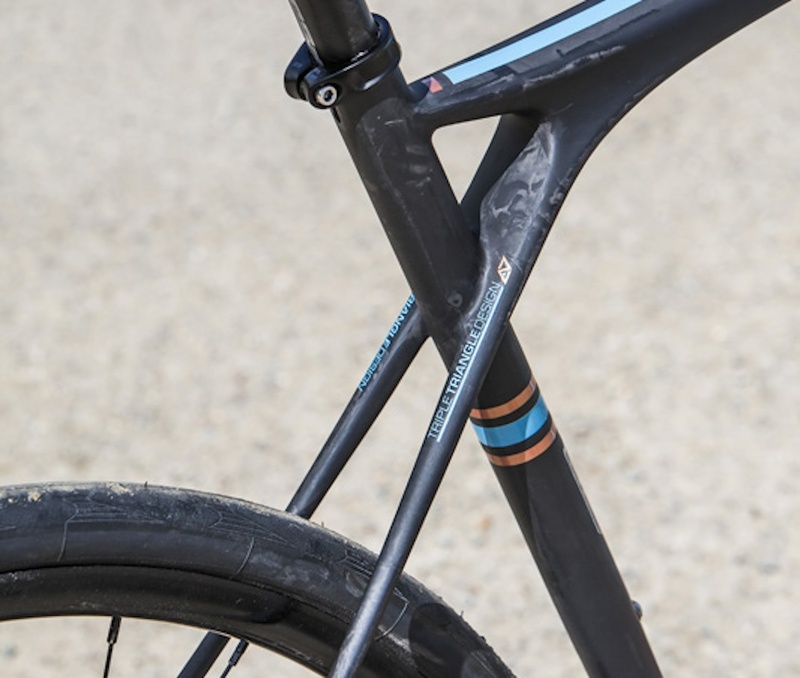 The super-slim, bowed seatstays have a solid fibreglass core wrapped with carbon fibre. GT claims that the fibreglass contributes strength and rigidity while the carbon fibre adds vibration damping. 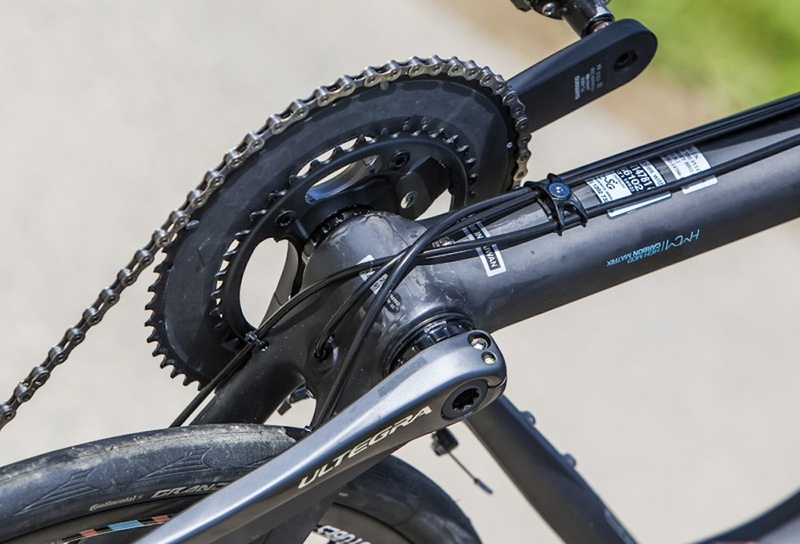 The fork is thin to add a degree of flex over the bumps and the headtube angle is a low 70.5 degrees to aid stability. The wheelbase is long at 102.5cm, helping stability off the road. The Grade comes with a 15mm front thru axle for front end rigidity, although the rear hub is a conventional 135mm quick release. There’s plenty of clearance for wide tyres, helping prevent mud clogging in typical UK conditions. Cables are fully enclosed and routed externally under the down tube, as is the rear brake hose. The Grade Carbon Ultegra is the top spec of the Grade range. 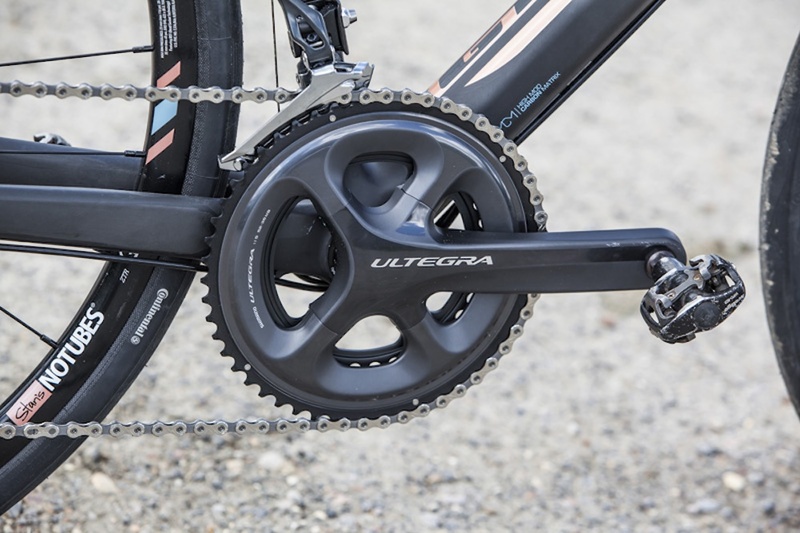 It comes with a full Ultegra groupset with a 52/36 chainset, 11-30 cassette and hydraulic disc brakes. A Praxis Works bottom bracket adaptor is fitted to allow the Shimano chainset to sit in the BB30 shell. Wheels have Stans No Tubes Grail rims on DT Swiss 240 hubs. 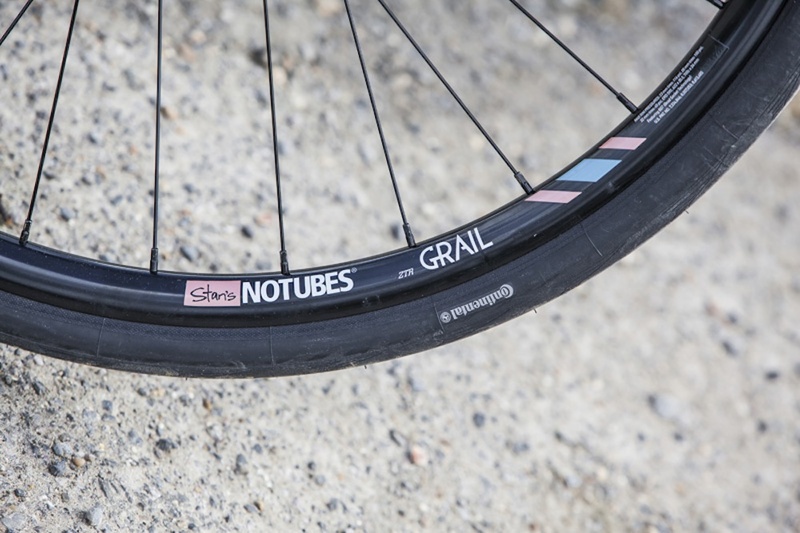 The choice of 28mm Continental Grand Sport Race tyres is somewhat surprising as this is a treadless design, although on the extra-wide Grail rims they come up at 31mm, so not much less than many cyclocross tyres. 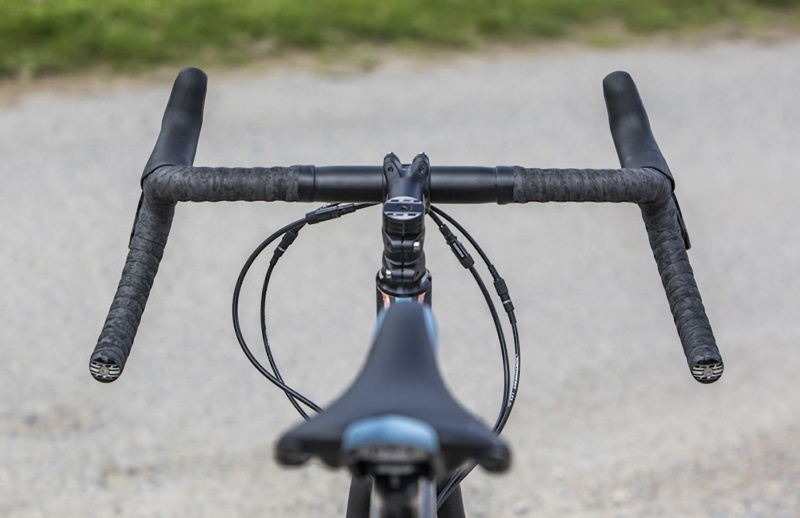 GT has equipped the Grade with its own flared bars, with the 42cm width at the tops increasing to 50cm in the drops. There’s a 27.2mm diameter FSA K-Force Light carbon seatpost and a Fizik Aliante Delta saddle. On the road the Grade is a stable and fast ride, with the highish gear ratios meaning that good progress can be made and it’s an enjoyable and comfortable bike for extended rides. Turn off the road onto unsurfaced bridlepaths and progress continues to be swift. The bike copes well with uneven and loose surfaces and the saddle is comfortable being well-padded without feeling soft. I was surprised how well the Continental tyres handled loose gravel, tree roots and muddy sections, with some wheel slip and sideways slide but nothing uncontrollable. Pushing my luck I headed out after a night of rain, to find that they reached their limit on off-camber turns on wet grass and chalk. A switch to cyclocross knobbly tyres sorted things out – they would be a wise choice for off-road riding in most UK conditions. Braking was excellent and progressive. There was no fade even on long steep off-road descents, although there was significant brake squeal: at least other riders knew I was coming. At £2600 the Grade is not a cheap proposition for a bike which will inevitably see some abuse, but you are getting an innovative frame with excellent comfort and first-rate components. 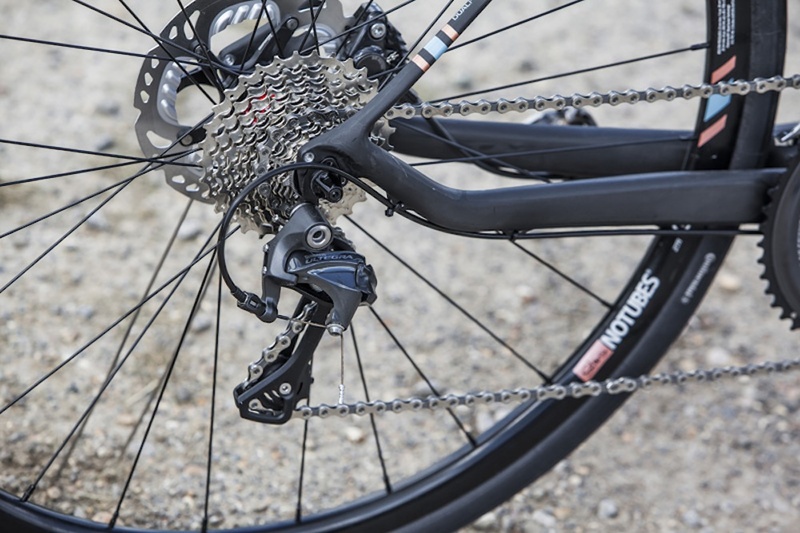 The Ultegra groupset behaved faultlessly throughout and the control offered by the wide bars and the hydraulic brakes gave real confidence on descents both on and off road. The finishing kit too is excellent and the wheelset is a highlight. 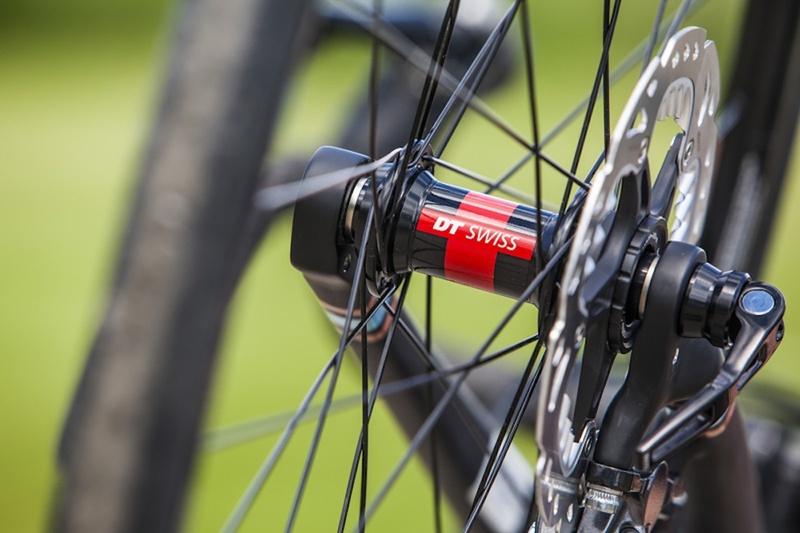 The Stans rims provide a stable base even for very wide tyres, but without adding too much weight or the feeling that you are being slowed down on the road. They can also be easily converted to run tubeless. For anyone looking to spice up their road rides and turn off the beaten track, the Grade is an excellent choice. It’s got the oomph and comfort to press on over the most dodgy of road surfaces and the off-road capabilities to take you to new places and stretch your bike handling skills. It’s worth noting too that it comes with mudguard eyelets, so this is a bike which would serve equally well as an all-year rugged commuter or a winter bike.